We are born to strive. And to thrive. But strive towards what, exactly? Innately gifted to succeed against adversity, we rise to the challenge again and again. We pick ourselves up, dust ourselves off, and weigh back in. Our biggest challenge is picking the right challenge. Back in the day, when most people lived and died within 20 miles of where they were born, the challenges were straightforward: get enough food and fuel to keep body and soul together, and raise a family so you’d have someone to look after you in old age. If there was enough time and energy left over, have some fun. Career choices were limited. Communication involved people within walking or riding distance, or those you could reach by letter (with a delay of several weeks or months). Fast forward to today: instantly accessible, we are awash in information and choices. We have choice overload; there is no end of what’s available to buy, eat and do. We work in a rapidly changing job market within a highly complex, global economy where many occupations are being commoditized. To thrive, we have to be savvy, discerning and self-managing. And if our biggest challenge is picking the right challenge, we have endless distractions to keep us from landing on the right one. Human brains have adapted over millennia, yet they still retain some core insecurities – those that kept us safe in less developed surroundings. As Dan Baker theorizes in “What Happy People Know”, all humans carry around a deep uneasiness on two topics: “I don’t have enough” and “I’m not good enough”. Those two fears drive a lot of our choices, consciously or not. We think we are making rational decisions, but we are really just responding that age old, very deeply rooted concern about getting enough to eat and being accepted by a group, because for humans, safety comes in numbers; we are wired to seek social acceptance. We are drawn like magnets to endless options, yet have difficulty processing it all, so we live by accident, following the law of unintended effects. We drive the extra few miles to get to the grocery store with aisles and aisles of choices, but buy the same things over and over, and then often fail to turn them into meals when we get home. It’s an odd paradox, that of choice. The human brain is both attracted to choice and paralyzed by too many options. In the Harvard Business School Article “More Isn’t Always Better,” Barry Schwarz cites the 2000 study by psychologists Sheena Iyengar and Mark Lepper in which shoppers at an upscale food market were offered $1 off any jam they sampled. On one day, 24 jams were offered and on another day, only 6 jams were put on display. The large display attracted far more attention – people swarmed to it like bees, yet the smaller display resulted in 10x the number of purchases. Why is that? Because making choices is one of the most exhausting things the brain can do. It’s why we avoid it like the plague, as David Rock tells us in Your Brain at Work. Prioritizing involves several parts: understanding a new idea, making a decision, recalling items from memory, and inhibiting competing calls for our attention, all at once. No wonder we put off making decisions! They call for a ton of mental bandwidth and when we can’t muster sufficient energy or capacity, we do nothing, or fall back on a habit or familiar non-choice. 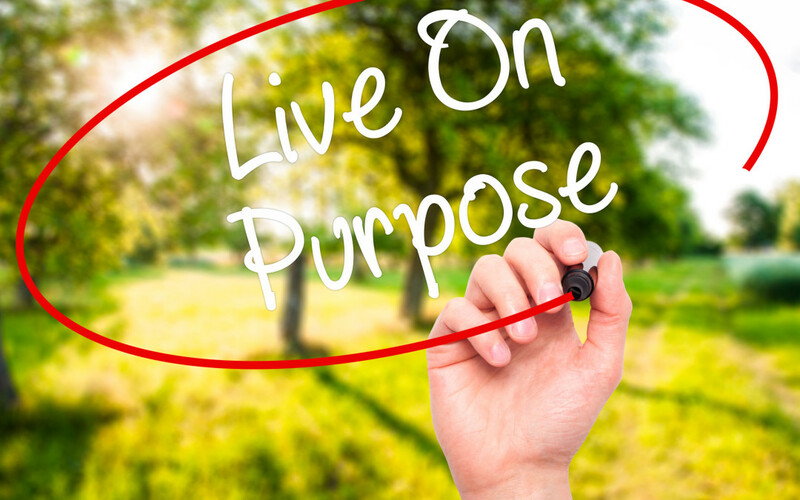 Without a clearly defined purpose for our lives, without having thought through “what challenge am I best suited to overcome?”, it is easy to fall into downward spirals, focusing on the wrong priorities, or no priorities at all – living by accident instead of living on purpose. Worse yet, looking for outside reasons for our own inner turmoil. Meanwhile, the problem is between our ears, not our neighbour’s badly behaved dog or our unreasonable boss. It’s ironic that in developed economies, where many basic needs are readily met, we get ourselves so mired down, and make things so much more complicated than they need to be. We live life as a problem to be solved, rather an an experience to be enjoyed. Many of us are not experiencing greater contentment. Quite the reverse. So what’s the answer? If we are overwhelmed with options – too much of a good thing – what do we need to do? Two things: be discerning and be intentional. Our only true limitation is time. Each one of us has only 24 hours in a day, no matter how much we try to cram into it. Today, our ultimate challenge is knowing what to leave behind, what to shut out, and what to ignore. The quality of our lives is more dependent on what we take out of them, rather than what we add to them; what we remove ourselves from, not what we involve ourselves in. FOMO drives a lot of behaviour, with unintended effects. What exactly do we want to accomplish? If all else fails and the world goes to hell in a handcart, what would we want to retain? When our lives are over, what do we want to be remembered for? Answer those questions. We need to determine what we are especially good at, what makes our hearts sing, why we are here. Align our activities and relationships with that. Limit our commitments to those things that move us in the direction of our purpose. Live life on purpose, with purpose. This post is the first in a new eight part series offered by Authentic Impact. We hope you enjoy it!